These dolls often have Swarovski crystal earrings and necklaces. They are sold in ornate cases. The value for these collectible dolls seems to range from $50+ to over $100, depending on the specific doll. This is a guide about finding the value of Camellia Garden porcelain dolls. 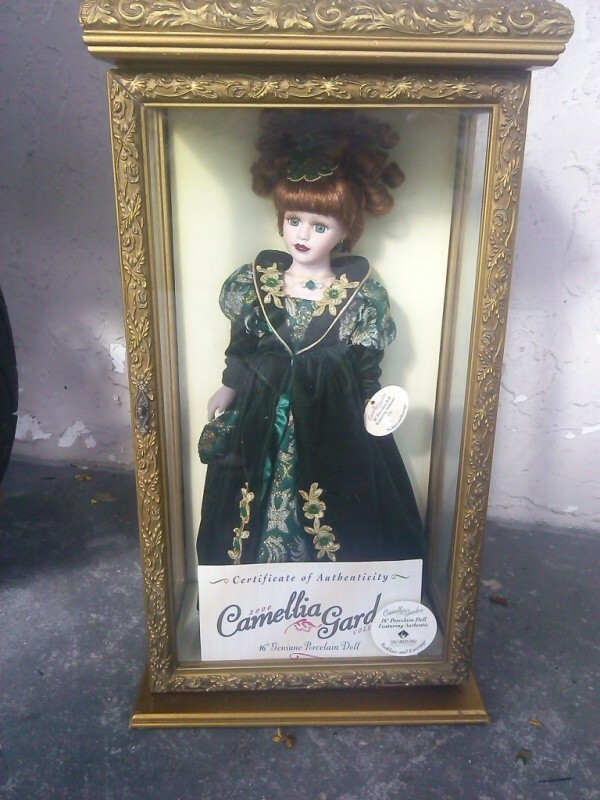 I have a 2000 Camellia Garden Collection 16 inch porcelain doll featuring authentic Swarovski in a display case. How do I find out how much is it worth? There are presently about 100 Camellia Garden Dolls listed on eBay. Check out your year and model for some info. Also check Google. I was just wondering how much this doll is worth. She has a certification of authenticity and real Swarovski crystal earrings and necklace. She has a green dress and red hair and is in the original package which has never been removed and is enclosed in a brass and glass casing. I have a porcelain Trasuresin lace doll from the camellia garden collection. It has never been out of the box. How can I find the value?